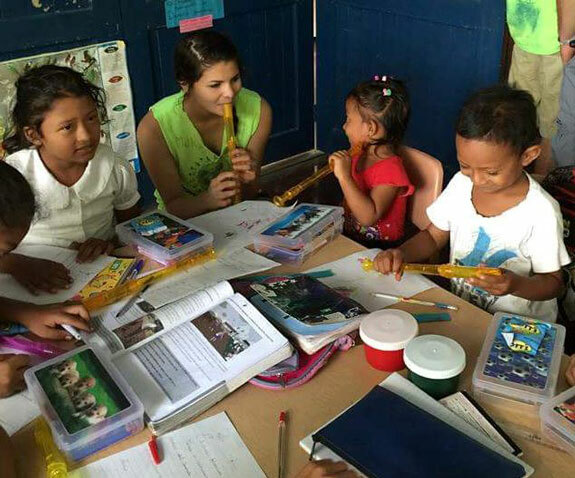 Within six weeks of joining the Pack for a Purpose family, Aqua Wellness Resort got a booking request from a group of Wisconsin high-school students and their chaperones who were visiting Nicaragua in the summer. When we confirmed their reservation, we sent them to the Aqua page on the Pack for a Purpose website. 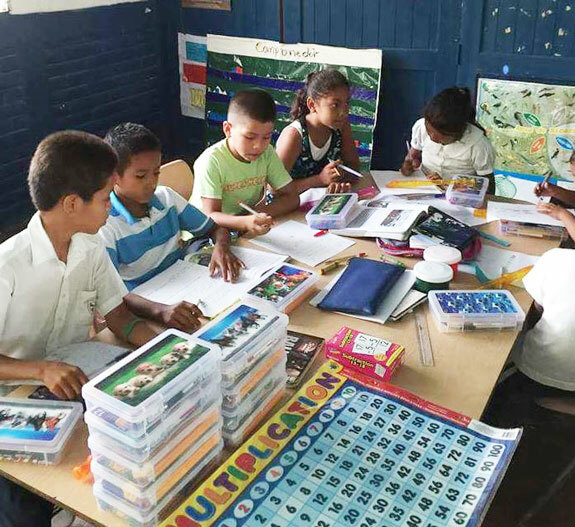 By sending them the link to our page on the website, they would be able to quickly see all the supplies that were requested for the small, local school which we support. When the group arrived, we were surprised and delighted that they brought nearly 100 pounds of school supplies — everything from books, notebooks, pencils, crayons, and water colors! There were enough supplies brought by the students from Wisconsin (in a school where there had been so few supplies that children had to share pencils) that everyone would have their own! The students wanted to donate the supplies to the school in person and to help in any way they could. The teacher was happy to have them come after regular school hours. Since the one-room school had a problem with bat guano and bird droppings that fell from the open rafters, the visiting students offered to clean up the mess and install netting to keep out the bats and birds in the future. 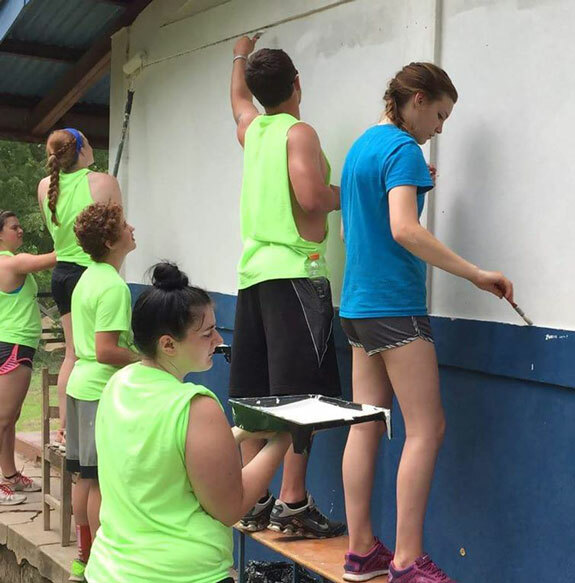 They did that over the next couple of days and also applied a much-needed coat of paint to the school. They also had a wonderful time interacting with the kids. They kicked around a soccer ball, taught them to play games like “monkey in the middle” and hopscotch, flew paper airplanes, and pushed them on the swings. The children were shy at first but soon relaxed and enjoyed every minute of it. The staff at Aqua was happy to see how much both the visiting students and the local kids got out of the cultural interaction. Thank you, Pack for a Purpose, for sparking it!